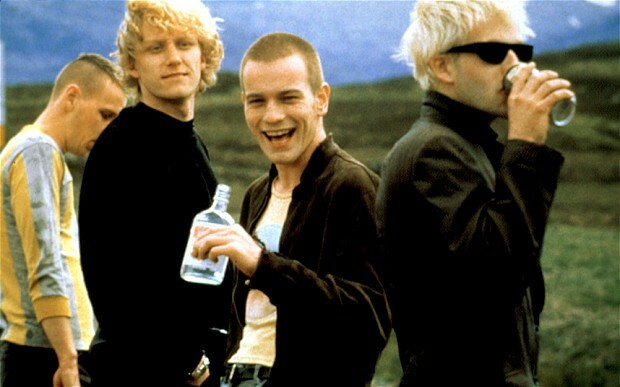 “Trainspotting.” Maybe it should be shown in high schools, or in families. The complete two hour film is free on the net and I am including the link. Also I am including a trailer for those of you who might not have time now for the complete film. Trainspotting is happening now in the United States and maybe other places. Yes, it is different here , we are not Scotland, it is not the 1980s, but our young people and adults are using and dying with heroin! Full length film: Yesterday when I posted, the film followed. This morning it has been removed from my post. Today , all I can find is a $2.99 version. Sorry. This is an article by the Guardian Newspaper about the life of these kids now. This entry was posted in film, Travel, Uncategorized, USA and tagged Choose Life, desperation, durg use, Edinburgh, Glasgow Scotland, poverty, Scotland, Trainspotting the film. Bookmark the permalink. Hi Shaun, “Trainspotting” was the second post I made today. The first was “The Deadly State of the Nation”, it was my nation, the United States. There is an epidemic of heroin use right now in the US. Three of the Republican candidates have had experience with with their children or friends and heroin. Later, I thought of making the connection with “Trainspotting.” You may want to reread the last paragraph of this post. I did use Scotland in the title , but I did not define Scotland by this moment in time. Movies or books can somehow help people see consequences. I don’t see were I am defining Scotland with this post in a negative light. If you want to point out where I did, I will be glad to speak to that. I have only the highest regards for Scotland, the land of my ancestry. If I was unclear or misunderstood, you can question my words or writing, but you do not have insight to my thoughts and feelings nor I to you. I will be happy to speak to any of the Scottish people who question my post or motive. Shaun, I have never stooped to name calling. and am sad and confused by your remarks about me. You are not an unreasonable person and I think if you go back and read the first post today and then the second, what I was trying to say will be clearer. Shaun, I only and always wish you the very best and admire your courage. I have no idea really, why you are so angry and full of hate toward me. David, since you sent this to me, I will agree. A bit harsh , I think, also. Thank you David, that was my purpose in the post before, “Deadly State of the Nation” , I think my intent is clearer. There is a terrible heroin culture in the northeast states of the US. Three of the Republican candidates have friends or family members who are involved in the drug culture. Very tragic ! Thanks for stopping by and commenting! Peace!